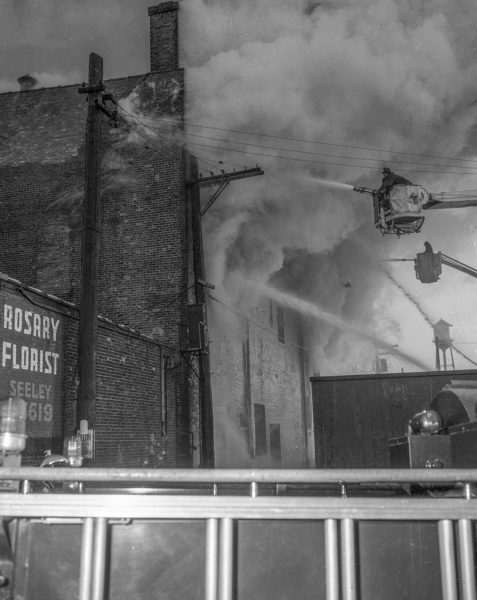 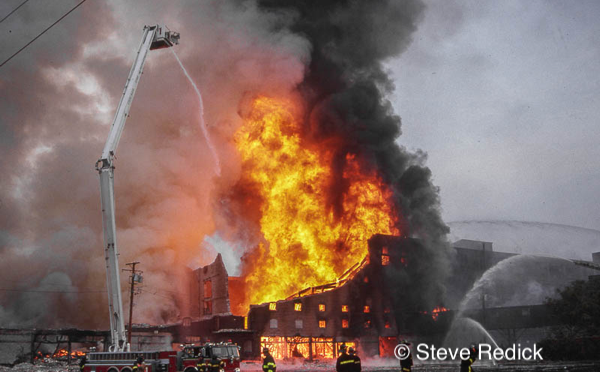 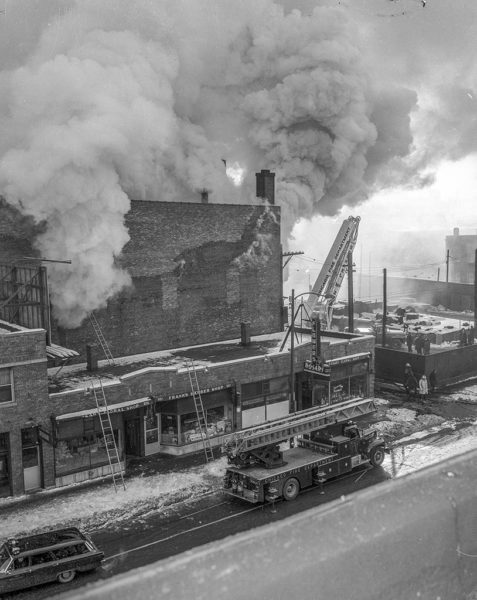 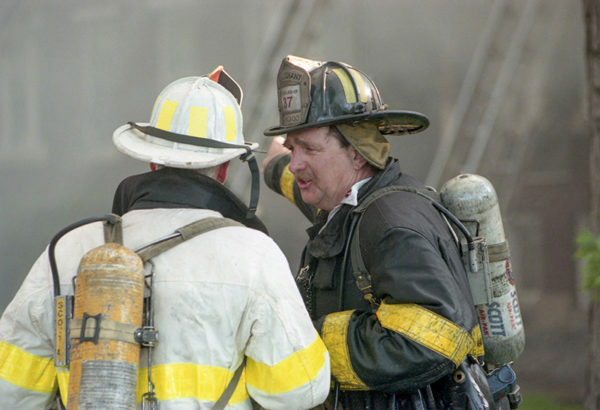 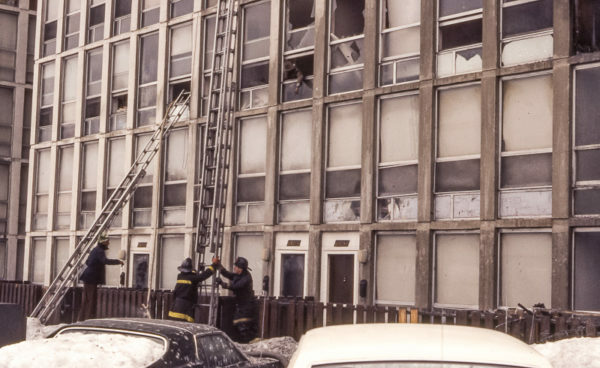 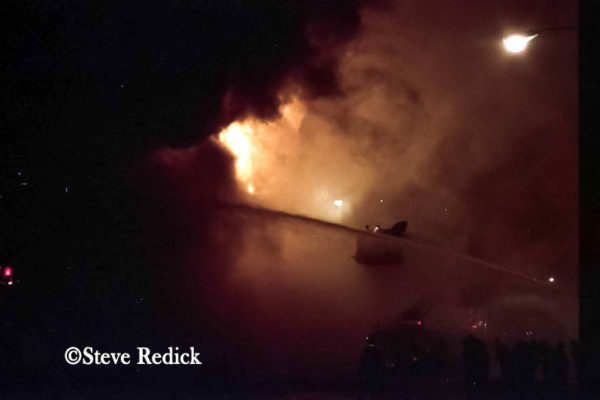 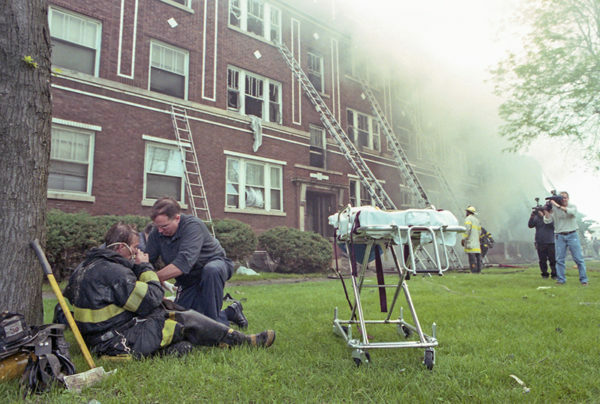 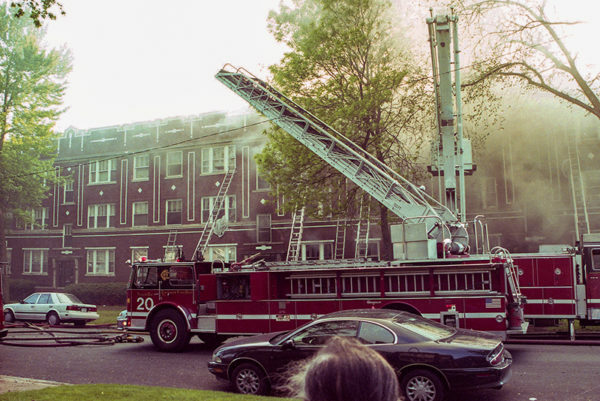 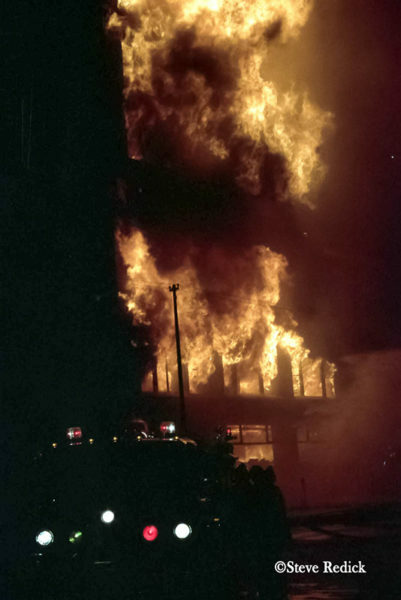 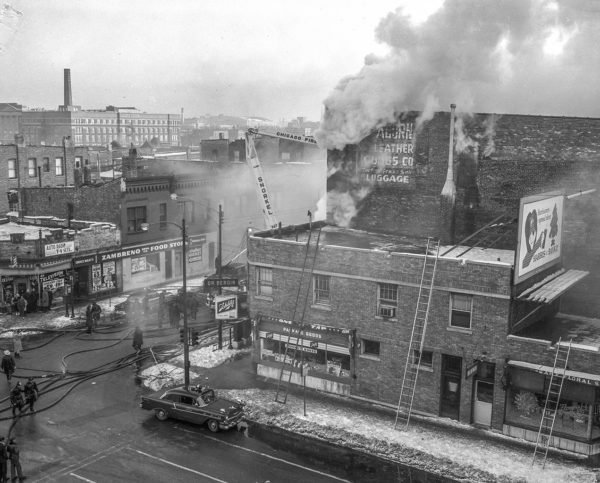 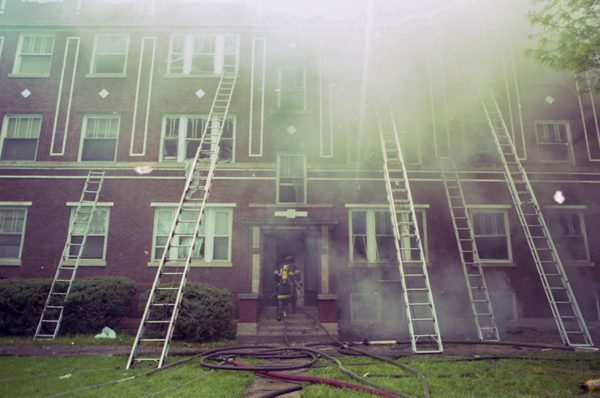 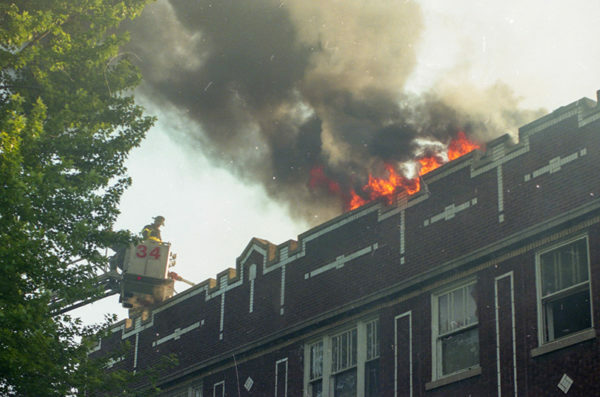 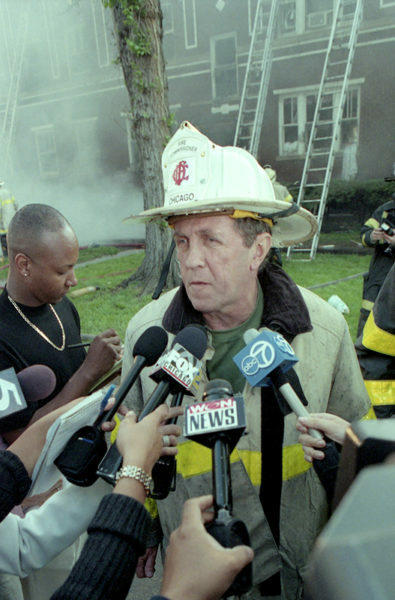 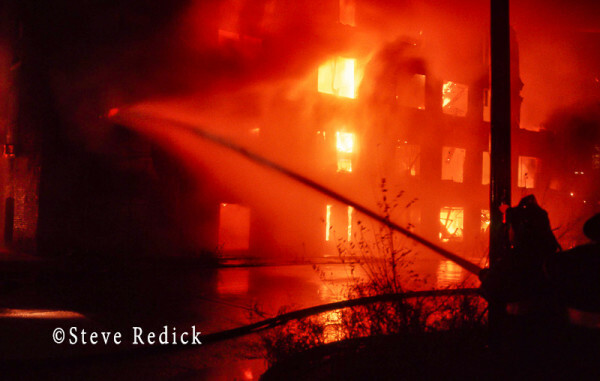 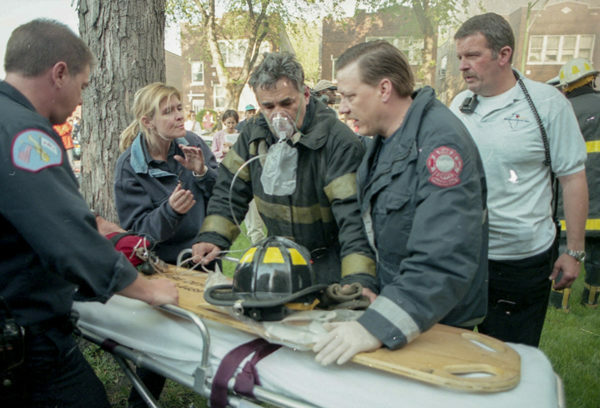 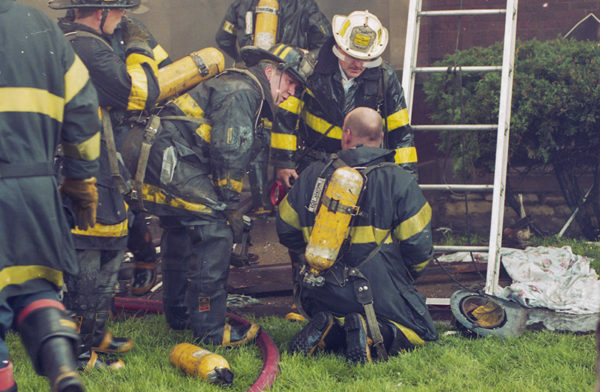 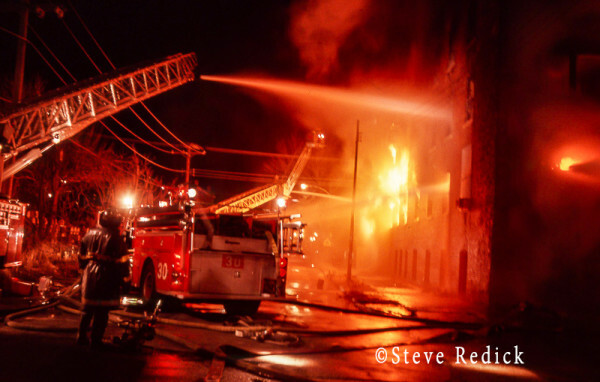 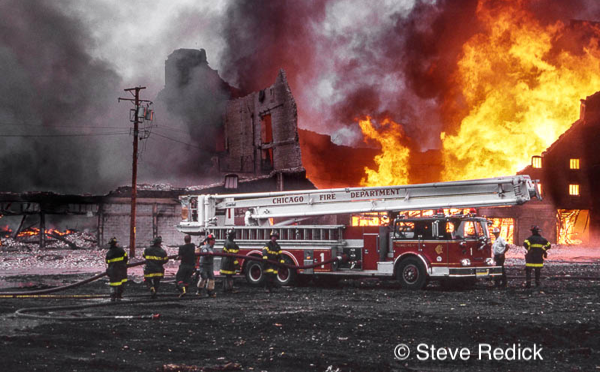 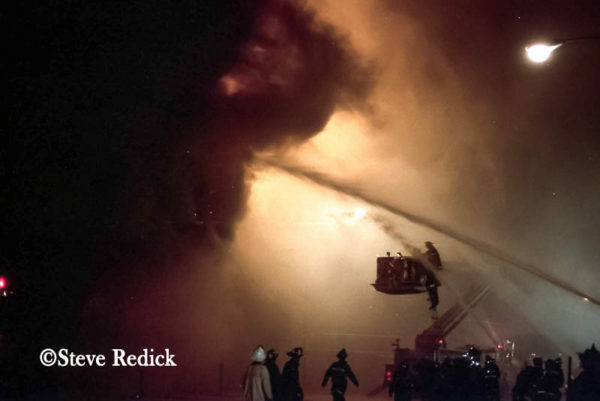 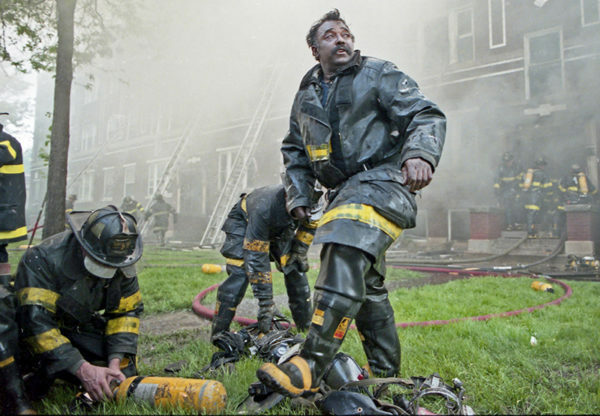 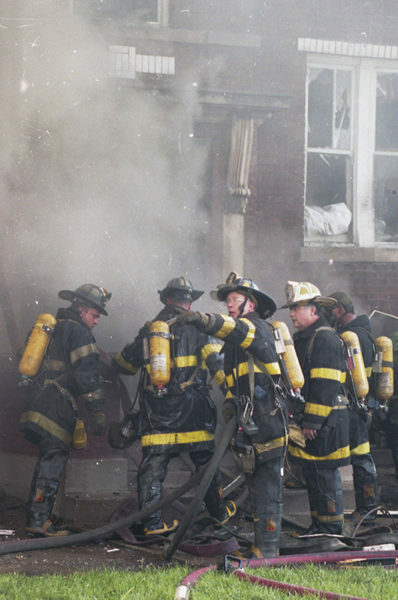 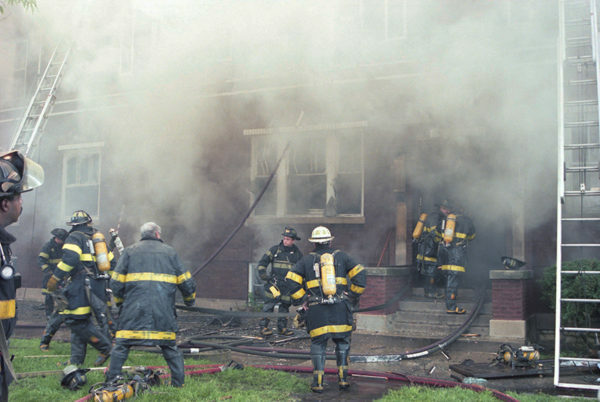 Historic photos from Steve Redick of Chicago’s 85′ Snorkel at work during a 5-11 Alarm fire at 615 W. 81st Street 8/1/87. 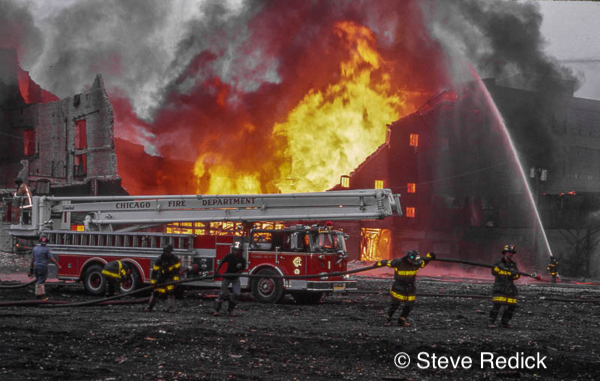 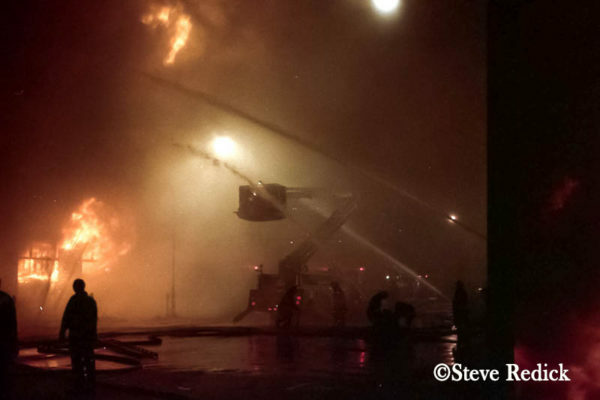 Some shots from a 4-11 at Hastings and Wolcott in Chicago. 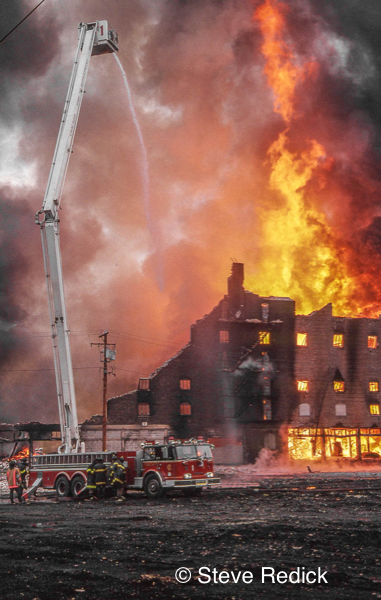 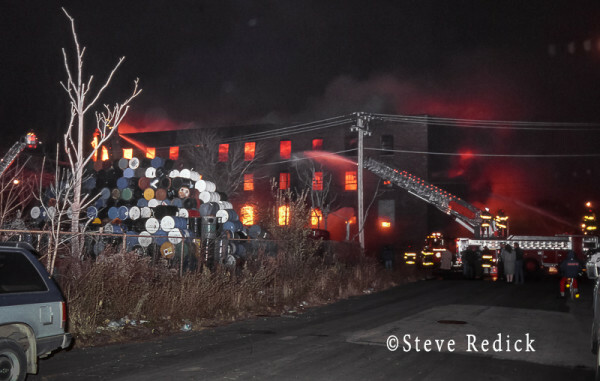 It was a barrel works as I recall and the embers from this drifted a block away and burned out some rooms on the top floor of an occupied apartment building. 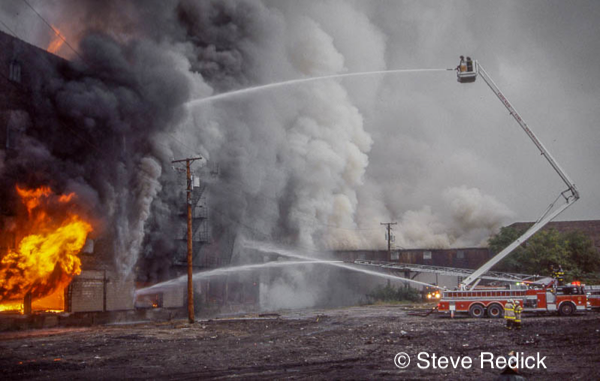 I forget it’s exact location. 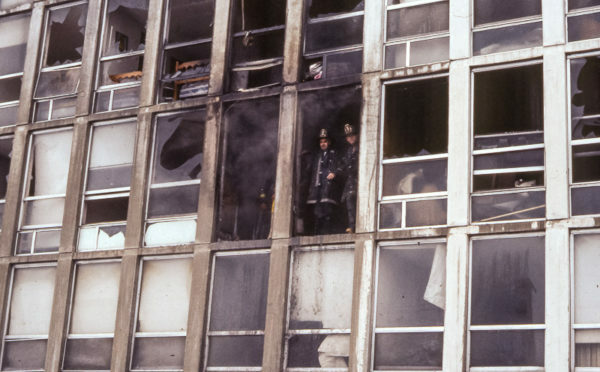 We ran down there just as the companies arrived. 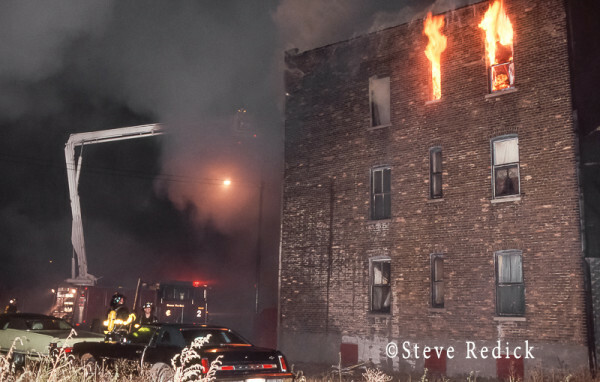 It may have been a box or maybe they just grabbed units from the 4-11. 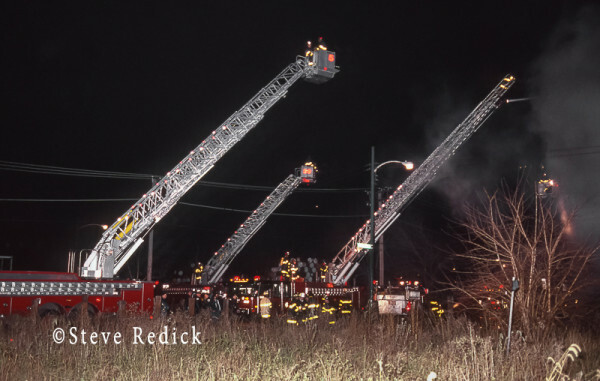 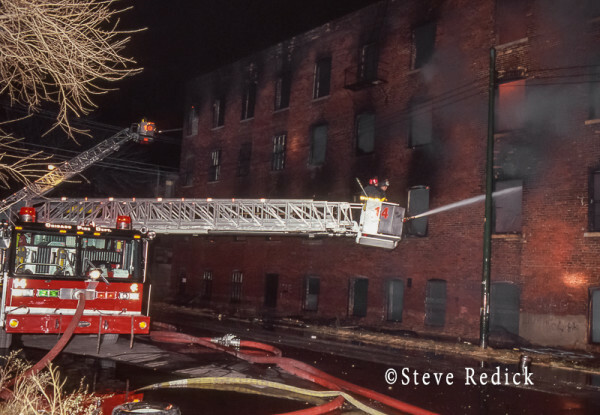 Truck 1 was used here with their brand new E-One rig with the pre-piped waterway. 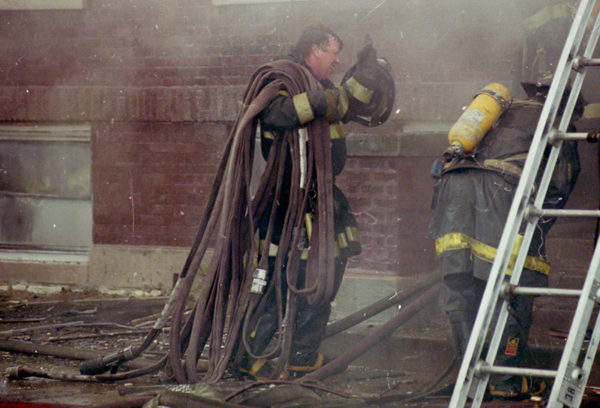 This was November 1989.